Perhaps you heard Green Coffee Bean Extract being discussed on the Dr. Oz show and wondered if it’s something that you should be taking for weight loss. There’s always some new diet craze going around, so it’s hard to know which ones are legit and which ones are better to pass on. We rolled up our sleeves and did our research to get the skinny on this weight loss sensation that is causing a buzz. 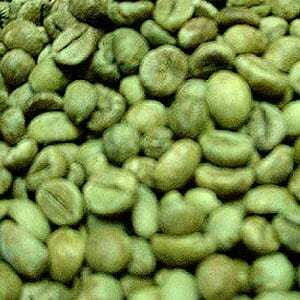 The reason green coffee beans are green is because they haven’t been roasted yet. That keeps them in their raw state and keeps the nutrients intact. That’s why you can’t get the same sort of benefits from drinking regular coffee, because those beans have been roasted and therefore do not contain as much chlorogenic acid, which is the agent thought to be responsible for the weight loss properties by helping to regulate the glucose levels in the body. The claims made about this extract varies depending on who’s trying to sell it, but the general belief is that it can assist in weight loss efforts by stopping body from producing as much glucose as it would normally. Glucose levels have been getting more and more attention in the weight loss community because it is been shown again and again to make a difference in a person’s overall weight. For proof you only need to look at a diabetic person that starts monitoring their glucose levels and eating a diet more in tune with healthy glucose readings. They naturally slim down if they stick to the program. This got all the hype it needed when it was featured on the Dr. Oz Show, as he lent his support to using it as a way to help you lose weight while keeping your normal lifestyle. However, the study that is referenced that claims the effectiveness of the extract is pretty flimsy, being paid for by a company that manufactures green coffee bean extract. This leads one to wonder just what does it take these days to create a craze around a wonder drug. All you seem to need is a hokey study, and a television personality to create credibility around whatever it is you want to sell. The price for pure green coffee bean extract varies by which brand you go with, but can typically be found for $20 to $30 a bottle, which should last a month. Compared to other weight loss products this is quite reasonable, with some diet pills easily costing twice as much for a one-month supply. Like most of today’s popular diet pills, the lure to these is that you don’t have to do anything extra in order to make them work. Since it supposedly works at regulating how much glucose your body produces, it shouldn’t require any extra exercise, and you don’t have to be too strict with what you eat, as long as you make some healthy changes you should see results. Of course it would be a great idea to eat right and exercise while taking it, but most places say you don’t have to change your lifestyle. The interesting thing about green coffee bean extract is that if it works it does represent an all-natural way to lose weight. Since it doesn’t contain as much caffeine as regular coffee, you could use it long term without a lot of serious side effects. However, as with all diet pills, you shouldn’t look to it as something that you’ll take for the rest of your life. Weight loss pills are a good idea if you are using them to boost your results when starting up a new diet program, but should never be thought of as something that you will take for a lifetime. The problem with getting answers from a page that is trying to sell you green coffee bean extract is that they will skew the responses to put the product in the best light. We’re here to strictly evaluate whether or not there is any truth to the claims made by the manufacturers of this extract, so we’ve provided some quick and to the point answers for you on this popular weight loss pill. When is the Best Time To Take Green Coffee Bean Extract?Since this is supposed to regulate your blood sugar, it’s best to take it as close to meals as possible. Many brands say that you should take it twice a day, so once in the morning, and then again in the late afternoon or early evening would be best. It really shouldn’t matter too much what time of day you take it, as long as you remember to take it regularly. What are the Benefits Of Green Coffee Bean Extract? The major benefit of this, if it works, is that it comes from coffee beans, and this is considered a natural source. This means that you’re not getting something that was created in a lab and is meant to artificially toy with your system so you trick your body into losing weight. If the study is correct, it is using something called chlorogenic acid to make sure that your body is releasing the right amount of glucose, thus keeping you in a state of optimal digestion and metabolism. Can Green Coffee Bean Extract Cause Constipation? It shouldn’t cause constipation, and it anything it should help you go to the bathroom. If you start eating right and exercising along with dizziness you should actually see an improvement in your digestive functioning, and shouldn’t have as many bouts with constipation as you are used to. By incorporating more fruits and vegetables into your diet, and get your body moving more, everything will be more regulated and follow a set pattern. Can Green Coffee Bean Extract Cause Diarrhea? As long as you are taking them as directed you shouldn’t see an adverse reaction like diarrhea. But if you get overzealous, and work out too hard, or change your diet to drastically, you might experience some stomach upset and some diarrhea as a result. However, it won’t be due to this extract alone, if taken in the doses recommended. If you have a sensitive digestive system you’ll want to take things nice and easy, and not overhaul your current lifestyle for something new. Can Green Coffee Bean Extract Cause Headaches? You might think that because this is extracted from coffee beans that it is going to contain a lot of caffeine, and could lead to a caffeine headache. But there is less caffeine in this extract than there is in a cup of coffee, so there isn’t any reason why it would cause you a headache. Some people might experience a headache because they exercised too much, ate too little, or stop drinking caffeine or soda in an effort to be more healthy. Can You Take Green Coffee Bean Extract While Nursing? While you’re nursing you still have to be careful of what you are eating, because you are passing on vitamins and minerals to your baby through your breast milk. This extract is not recommended for those that are pregnant or breastfeeding, because there isn’t enough known about it, and it’s always best to play it safe. You are probably anxious to get rid of your baby weight now that you have successfully delivered your baby, but you have to be patient a little longer and wait until they are done relying on you for nourishment. Can You Take Green Coffee Bean Extract With High Blood Pressure? Since the caffeine content is lower than that of a cup of traditional coffee it makes sense that this would be something you could take if you’ve been found to have high blood pressure, but you’d want to run it past your doctor first to see if they think it’s alright. There are varying degrees of high blood pressure, so it is impossible to give an accurate answer without knowing what other complications there might be, or what other conditions you may have. Can Children Take Green Coffee Bean Extract? If your child is battling a weight problem you might think that this is something you could give them to see if they get results from it. There just isn’t enough information available, and not enough studies done on adults yet to make any kind of determination as to whether this would be okay for kids. Children and adults respond to different supplements, drugs, and dietary aids in a different way, so you want play it safe here and not give them anything that could cause a problem. Can Diabetics Take Green Coffee Bean Extract? The way this extract supposedly works is by stopping the body from excess glucose. Diabetics probably take a great interest in this because that would help them manage their condition without the use of prescription medication, or as much insulin. You’ll want to check with your doctor first before you go down this road, as they will be able to give you an accurate answer based on your medical history and alternate brain health concerns. They also have the most up-to-date information on this supplement and will be able to give you a good answer, and also a good alternative if they don’t think it’s good for you. Can I Take Green Coffee Bean Extract And Raspberry Ketones Together? Dr. Oz not only mentioned green coffee bean extract, he had previously showcased raspberry ketones and said that they were a good all-natural supplement to take for weight loss. The next logical question is whether or not you can take them all together. They do different things, so it is not totally out of the question as to whether or not applicable taken simultaneously. Raspberry ketones are supposed to make your body behave like a thin person’s, and the bean extract is designed to curb your glucose production. There’s nothing on the surface that would suggest they can’t be taken together, but it’s best to play it safe with just one at a time. This is not something that you’d want to take while pregnant, because there hasn’t been any research into how safe it is, or how effective it is. Plus, you do not want to focus on losing weight while you’re pregnant, but rather maintaining a healthy weight throughout your pregnancy. You should be trying to eat the best, all natural and organic foods you can, cutting out sugar and processed foods for whole foods that will nourish your baby. This will put you at the weight you’re supposed to be at, and you can ignore the scale for 9 months and try to be as healthy as you can. Can You Take Too Much Green Coffee Bean Extract? Yes, of course. Just like with anything it’s possible to get too much of it. Dr. Oz recommend two 800mg doses per day, and even though many people are doubting his ability to provide sound medical advice, this would be a starting point for trying to figure out the right dosage for you. You definitely wouldn’t want to take too much of it, as you always want to go for the effective minimal dose. You want to take just enough to get you the results you want, and not a milligram more. Does Green Coffee Bean Extract Cause Anxiety? Anxiety is usually associated with drinking coffee because the caffeine in it makes your heart beat faster, and can bring on the same sort of feelings that are associated with panic and anxiety attacks. This extract shouldn’t cause any more anxiety than you’re already feeling, or that’s already present in your life, because it is not relying on large doses of caffeine in order to get you to lose weight. Does Green Coffee Bean Extract Cause Gas? There shouldn’t be any extra gas associated with taking this. If you start eating more fruits and vegetables in a comprehensive approach to be healthier you might find that you are more gassy at first. This is because your body isn’t used to getting such wholesome foods. After a few weeks you should notice this subside. But there isn’t anything in the extract that would make you gassy or gassier. You may want to consider taking a prebiotic, probiotic, or digestive enzymes if you’re still having problems with gas after an extended period of time. Does Green Coffee Bean Extract Cause Heartburn? You shouldn’t experience any more heartburn than you normally do, and if you start paying more attention to the things you eat, and the portion sizes, you will likely notice that you have less heartburn than you did before. If you normally get heartburn by drinking coffee, you have to remember that this is not something that you drink, but rather a pill that you take. This cuts out a lot of the problems people have when drinking coffee. Does Green Coffee Bean Extract Cause Insomnia? While this doesn’t have extra large doses of caffeine in it, you wouldn’t want to take it close to bed time because it still contains some caffeine. Taking a dose with dinner should be fine, as long as you have your evening meal early enough so that it can make its way through your system and be out before you’re getting into bed. Insomnia is a pretty severe condition, and is not something that would be caused by an all natural extract like this one that contains only a rather small amount of caffeine. But if you are sensitive to stimulants you’ll want to avoid it. Does Green Coffee Bean Extract Contain Caffeine? Yes, it does, but not in any great amounts, and not even as much as you consume when you drink a cup of coffee. The caffeine is not where the magic is supposed to happen, and is just a natural byproduct of it being derived from a coffee bean. It is a natural source of caffeine and not something that is added the way caffeine is added to some diet pills, energy pills, or energy drinks. In most cases it is a non-factor, with most people reporting that they don’t notice any sort of effects that they would from drinking coffee. Does Green Coffee Bean Extract Give You Energy? Because it’s derived from coffee, many believe that it should give you the same jolt of energy that you would get from drinking coffee or an energy drink. It is not meant to give you energy, and is designed to help you with digestion and keeping your glucose levels in order. Plus, the “energy” most people refer to is not real energy. Real energy comes from plants that have absorbed the sun’s rays, like fruits and vegetables. The “energy” in coffee, colas, and energy drinks is just a parlor trick, speeding up your heart rate and making you feel more pumped up. Does Green Coffee Bean Extract Have Side Effects? Does Green Coffee Bean Extract Lower Blood Sugar? It doesn’t necessarily lower it, but it doesn’t raise it either. It helps you produce less glucose, so you don’t get those spikes and you keep everything in a good metabolic zone so that you can maintain a healthy body weight. When blood sugar levels have peaks and valleys that’s when people have problems with overeating and weight gain, and can end up with conditions like diabetes. It’s a serious problem, which is why this merits checking out further, and potentially trying it at home if you feel that it will work for you. Does Green Coffee Bean Extract Lower Cholesterol? There wasn’t anything noted in the test paper that said it worked at lowering your cholesterol. If you use this as part of an overall approach to healthy eating and a healthy lifestyle, you should notice a reduction in your levels of bad cholesterol as a result of making better food choices, or eating smaller portions. Does Green Coffee Bean Extract Make You Hungry? By limiting how much glucose your body releases after eating a meal, you should feel fuller longer, since you won’t be subjected to big spikes in your glucose levels. The results should be that you won’t have “food comas” any more, and won’t have that groggy feeling you have when you get back from lunch. So while it won’t make you hungry, you’ll have to do your best to choose to eat right when taking it, and not stay on with unhealthy eating habits and hope that this will make up the difference for you. Does Green Coffee Bean Extract Make You Jittery? Because this is derived from a coffee bean, many believe that it is working its magic by all of the caffeine it contains. Since caffeine has long been proven to subdue your appetite the easiest conclusion to jump to is that this extract is loading you up with caffeine. But that’s not the angle that it’s playing here, and it’s the chlorogenic acid that is believed to hold the key. The extract contains less caffeine than a cup of ordinary coffee, so it should not cause the jitters the way some diet pills can. Does Green Coffee Bean Extract Make You Pee? Since coffee is a diuretic many people wonder if this extract will cause them to pee more. It’s not in liquid form, it comes as a pill, so other than the water you drink the pill down with, it’s not like drinking a cup of coffee at all. There isn’t anything in it that would cause you to pee more, and you shouldn’t experience any extra urgency to go while you’re on this. It is not something that you take to get rid of excess water weight, that’s not how it goes about getting you to lose weight. Does Green Coffee Bean Extract Make You Poop? It’s not necessarily a laxative, and it’s not intended to make you lose weight by getting you to poop more. This question stems from many people believing that coffee makes you poop. There has been a lot written on whether coffee is actually a stimulant for a bowel movement, or if people are just associating their morning poo with their morning cup of coffee. However, the chlorogenic acid that it contains is also found in prunes, so you may experience the same sort of laxative effect that you get from eating prunes, but this is a side benefit rather than the key to losing weight. What is the Dr Oz Recommended Dose Of Green Coffee Bean Extract? Dr. Oz recommended taking 800mg twice a day. It’s important to understand that although Dr. Oz is a doctor, he’s also not entirely in charge of what ends up on his show, and what he endorses. There’s definitely money involved somewhere when ever he puts his name and reputation behind something. He’s pretty good at not endorsing specific brands of weight loss products, but he’s become the master at starting a craze about them by simply mentioning or featuring them on his show. Contraindications For Green Coffee Bean Extract? If you have any sort of medical complication, or are taking any prescription or over the counter drugs, you should check with your doctor first before taking this supplement. You don’t know how it will react with your current medications, or how it will effect things like diabetes, high blood pressure, or shortness of breath. You definitely don’t want to start taking this without running it past your doctor and seeing what they say. It’s still in its early phases and hasn’t undergone a lot of rigorous testing to see how safe it really is. How Do You Take Green Coffee Bean Extract? It comes in pill form, so it’s as easy as swallowing a pill. Some people think that because it’s a coffee bean, and because it’s an extract that it would be something you drink. But no, almost all of the top brands come in the form of a pill, capsule, or tablet, although you will see some of them in liquid form, these aren’t recommended as they are less potent and typically not as effective. At the end of the day you’re responsible for what you decide to put into your body. There is some evidence that points to green coffee bean extract (GCE) working at helping people lose weight, but in the scientific world the final verdict would be that it’s inconclusive. This doesn’t mean it’s not worth a try, or that it doesn’t work, just that it hasn’t been analyzed or properly tested enough to make a strong statement as to its efficacy. Trying this out for a month is easy on the wallet or pocketbook, and doesn’t represent a big threat to your health the way some diet pills and fad diet gimmicks do. You could give it a go out of mere curiosity and see if there are any noticeable differences. There isn’t enough trustworthy empirical data on the effects, whether good or bad, to make a full analysis on it, so it’s best to take a measured approach. Go with a trusted source and don’t bargain shop on this one. Paying a little more for quality ingredients would be well advised. What do you think? Does Green Coffee Bean Extract work or not? Does Insane Home Fat Loss Really Work? It’s been scientifically proven that coffee does help you lose weight. I don’t know how dramatically it can aid in weight loss, but if you drink black coffee it does have positive effect on your weight loss. Remember though, no sugar and milk lol. I’m thinking coffee beans in pure form has to be even more effective, since like this article says, the chlorogenic acid is more intact in a raw form. Heck, for $30 I’m willing to give it a try. Took it for two months. Ate very sensibly, (veggies, lean meats, green tea, water, few carbs – my usual diet) and exercised as usual. Didn’t lose one ounce of weight. Consider it a complete waste of money. I think it may depend on the type or brand of green coffee extract that you take. Green coffee bean max is one of the top brands available for sure.